The history of St.Patrick's Day begins, of course, with St. Patrick. 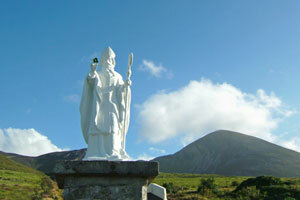 He is one of Ireland's beloved patron saints and gets credit for Ireland's conversion to Christianity. Patrick was born in Britain, kidnapped and taken to Ireland when he was sixteen in the year 389. He worked as a slave tending sheep for six years, escaped to his home, and later came back to Ireland as a missionary. St. Patrick's Day began as a religious holiday and is still celebrated throughout Ireland on March 17th, the date of Patrick's death. Many Irish people go to church in the morning and party in the afternoon. Some businesses are still closed for the holiday, but the pubs and restaurants are prepared for a big crowd. If you want to join in for some real Irish fun, go to the St. Patrick's Day parade and party in Dublin. You can join in with the locals and celebrate with food, drink and plenty of authentic music. The party in Dublin starts four days before St. Patrick's Day and is celebrated with dance, street performances, family carnivals and night festivities. The grand finale is the parade and party on March 17th; over one million people from around the world come together to be Irish for a day. If you can't make it to Ireland on March 17th, you will find parties all over the world. New York City's Irish celebrate their heritage with a great parade and party. Many Irish from Australia and Canada also remember St. Patrick's Day. You may want to plan your own authentic party and order food from Food Ireland. Their products and service are outstanding. You will also want to check out Irish Shopping - The Premier web site for Irish Gifts, Jewelry and other Items. 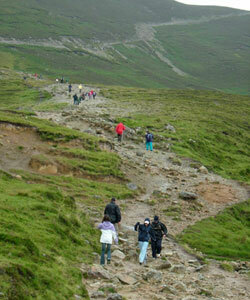 The history of St. Patrick's Day is based on Patrick's travels around Ireland. He taught Christianity and became loved by the people. As you travel in Ireland, you will see that many churches and holy sites are named for St. Patrick. You will also hear about the legends of St. Patrick. Some of the stories are from books written by two monks named Muirchu and Tireachan. They tell about St. Patrick as a preacher, a fearless missionary and a miracle worker. You may have heard that St. Patrick drove the snakes out of Ireland. The history of St. Patrick's Day includes the account that Patrick banished the "demons of paganism". 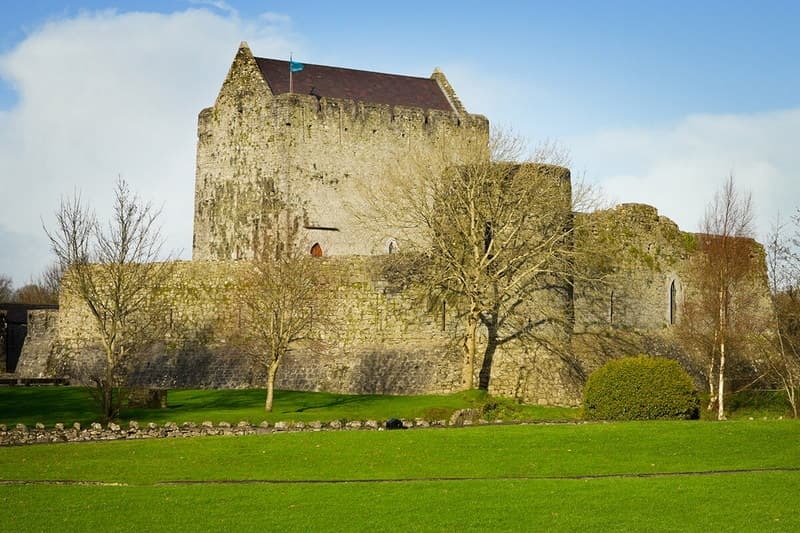 Since the snake was a symbol of pagan worship, Patrick banished the snakes of all kinds.Whatever you believe, you'll see no snakes on your Ireland visit! Patrick used the shamrock to explain the Christian trinity of God. The shamrock is one of Ireland's national symbols; Irish people around the world wear it as a sign of their heritage. 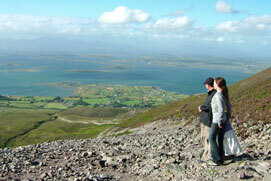 Climb Croagh Patrick Mountain near Westport where Patrick fasted for forty days. Thousands come to climb to the summit each year on the last Sunday of July and see the chapel at the top which is the highest church in Ireland. The views along the way make the hike an amazing experience. 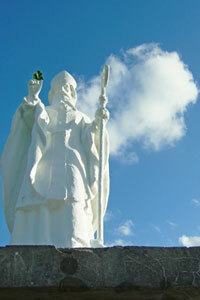 Visit the Saint Patrick Centre in Downpatrick, just below the gravesite. This exhibition is a multi-media presentation worth seeing. Wherever you are on March 17th, make a toast to St. Patrick and enjoy the luck of the Irish!